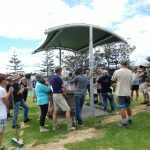 2017 saw the construction of a 12-station outdoor fitness gym. 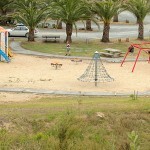 An area where all ages can come and exercise at their own levels and pace. 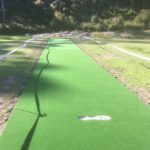 Nearly there with our new all weather Tiger Turf cricket pitch. 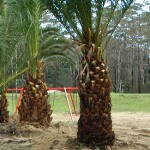 The finishing of the field will be done at our next working bee. Anita and Keith of Recreational Services, Whangarei, putting the finishing touches to our new junior soccer field. The MAZ park has been heavily used this weekend, with stunning weather many families headed to MAZ to get some outdoor fun. 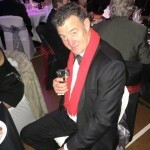 Multi sports count… spot our chairman Colin Gallagher! The skate park being used by youngsters on boards and scooters…. 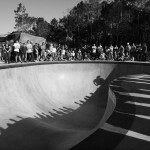 The skate park attracts families to play and relax together. 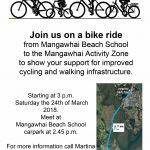 Raising funds for a family community BBQ areas at the Mangawhai Activity Zone. Saturday, June 20th, 2015. 6:30 p.m. to Midnight. 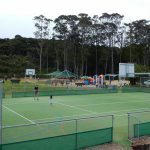 Mangawhai Recreation Centre – Insley Street, Mangawhai Village Shuttle bus service available. 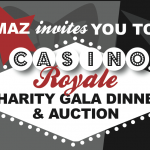 Single $80.00 Table of 8 $600.00 Tickets are available from Bammas (next to 4 Square, Mangawhai Village). 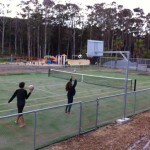 The multi sports court is completed and now in use. Thanks to a grant from Lottery Grants we were able to get this court completed. 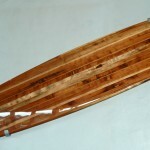 Tell us how you’re using it! 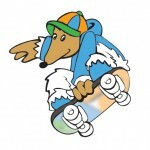 Thanks Ultimate Surf & Skate and sponsors for putting on a great event!! 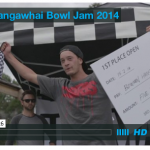 Ultimate Skate Shop – Mangawhai Bowl Jam 2013 from Ultimate Skate Shop on Vimeo. 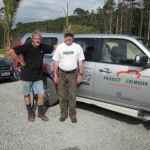 A big THANK YOU to Mangawhai Butcher, Ian Whittiker, and everyone else who came by to help out on Sunday, July 3rd. 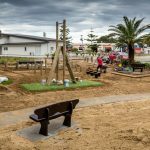 M.A.Z appreciates all of the good effort that goes towards making this park the ultimate recreation park. 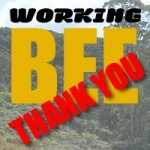 We’ll be announcing our next working bee on this website… hope to see you there. 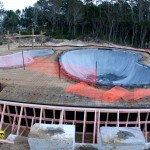 The weather cooperated and the concrete for the top platforms was poured on Monday the 18th. 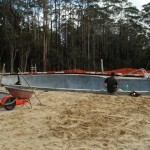 This means both bowls will possibly open on Saturday the 23rd! 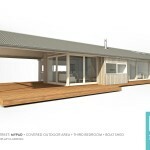 Progress photos: Watch this space for opening confirmation! 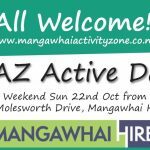 Welcome to Mangawhai Activity Zone!